The Big Sur Coast has become an icon of natural beauty known around the world. It’s popularity is now overwhelming its only access road, Highway 1. Traffic back-ups are commonplace, points of interest become chaotic (pedestrians and cars in the roadway), areas are overused and degraded, public safety issues arise regularly, and emergency services access is put into question. So, why, with the coast already overcrowded, do the Coastal Commission Staff & Monterey County ignore the policies of the Land Use Plan (LUP) and encourage more visitor serving development? The recent Ventana permits (Dec. 2016) were issued with no local review and approved by the Coastal Commission as immaterial amendments (i.e. no objections, no negative impacts). These were amendments to a 35 year old permit with a 40 year old EIR. The community was not aware…that affordable camping would be converted to new lodging units (15), a new restaurant, a new art gallery, (in the critical viewshed), destruction of historic buildings, or the degradation of the Post Homestead…were being considered. Another push for more visitor serving development has come with Monterey County’s determination that the prohibition of STR’s in Big Sur will be lifted. As justification the Coastal Staff’s advocacy for STR’s has been made clear. So Big Sur’s seriously insufficient housing stock may be converted into more visitor serving accommodations. For years the community has made clear the inconsistencies between STR’s and the Big Sur LUP. It has all fallen on deaf ears. So, why? Public access will not be improved, rather the reverse. It is clearly understood and laid out in the the Big Sur Land Use plan that the primary public resource of this coast is visual access to the 70 mile scenic corridor, HWY 1. All other uses are subordinate & limited to preserve highway capacity for its primary function: Scenic Travel. 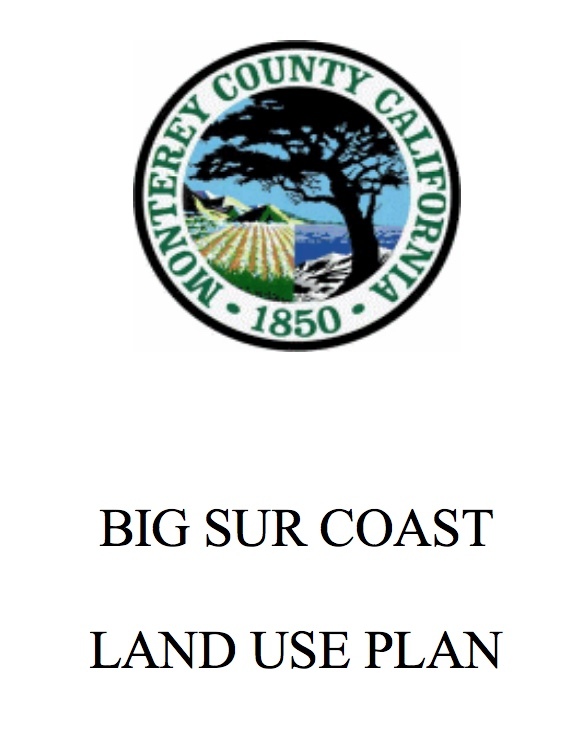 …The Big Sur Land use plan was a primary justification for restsing federalization. We all had a great deal of confidence that we could protect the Big Sur locally: The Coastal Commission, Monterey County, and the Big Sur community. That proposition now seems in question. The plan is sound though presently threatened: Do we have the will to preserve it? Photo below by Kodiak Greenwood showing the new gallery at Ventana in the viewshed.